LIC today launches two new plans Anmol Jeevan 2 (Table No.822) and Amulya Jeevan 2 (Table 823). LIC Anmol Jeevan 2 and Amulya Jeevan 2 is term Plan. Earlier we have already talked about Anmol Jeeval 2. Let’s review Amulya Jeevan 2. Premiums can be paid yearly or half-yearly during term of policy. A grace period of one month but not less than 30 days will be allowed for payment of premiums. The cost of the medical reports, including special reports, if any, required for the purpose of revival of the policy, shall be borne by the Life Assured. The amount of tax as per the prevailing rates shall be payable by the Policyholder on Installment premiums including extra premiums, if any. The amount of tax paid shall not be considered for the calculation of benefits payable under the plan. If the Policyholder is not satisfied with the “Terms and Conditions” of the policy, the policy may be returned to us within 15 days from the date of receipt of the policy bond stating the reason of objections. This policy shall be void if the Life Assured (whether sane or insane) commits suicide within 12 months from the date of commencement of risk or from the date of revival. Should I buy this policy? As mention earlier this is term plan which will provide you risk coverage. Similar to Anmol Jeevan II premium charged by LIC for this term plan is simply double or triple than other term plans. Example Term plan with 1 Cr of Sum & 30 year term in HDFC Click 2 protect will cost you 15280 Rs/- where in in LIC it will cost 37978 Rs/- as premium more than double. 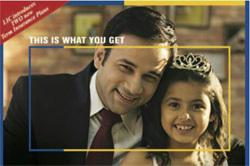 Note:- HDFC Click 2 Protect is Just example you can take any other term plan available in market. So if you purchase Amulya Jeevan II term plan instead of other term plan you will end up paying double money. No point in paying extra money. My personal advice is not to purchase LIC term plan Amulya Jeevan II. 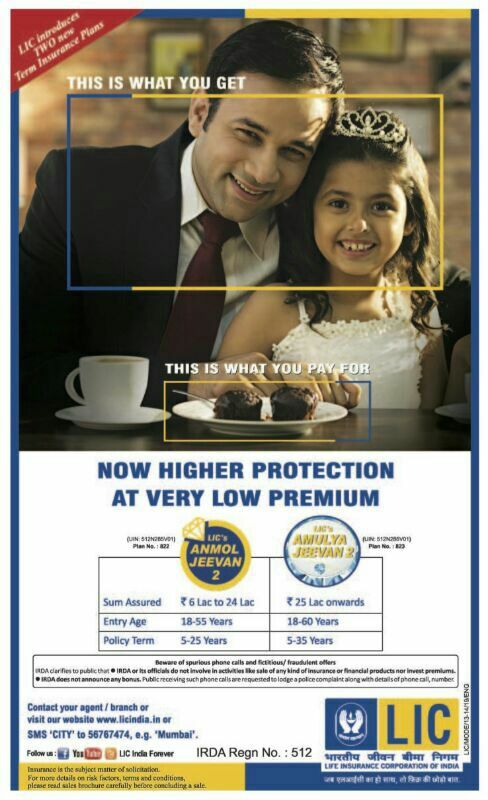 LIC Anmol Jeevan II and Amulya Jeevan II Advertisement. What a Joke in Advertisement they said you pay less and get more but actually you are paying more. Hope you enjoyed reading this article. Do share it with your friends on Facebook & twitter.